Members of the Oelwein Police Department and the Oelwein Wrestling Club teamed up to clean up the appearance of our community. 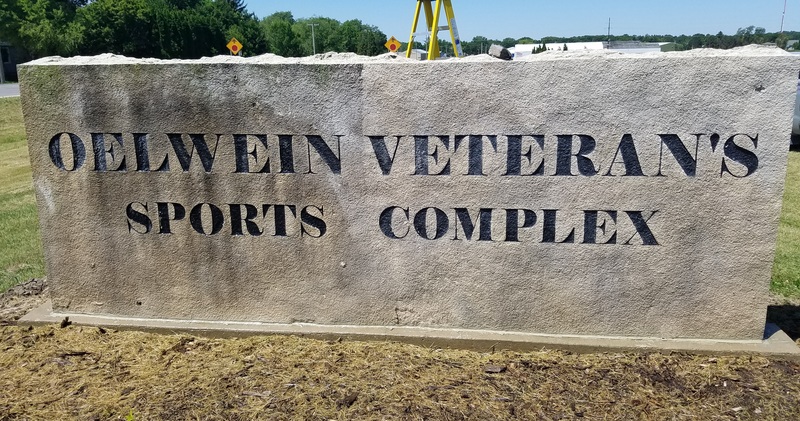 Members spent part of Sunday cleaning and revitalizing the monument sign that highlights the Oelwein Veteran’s Sports Complex. The sign had years of dirt and debris on it. 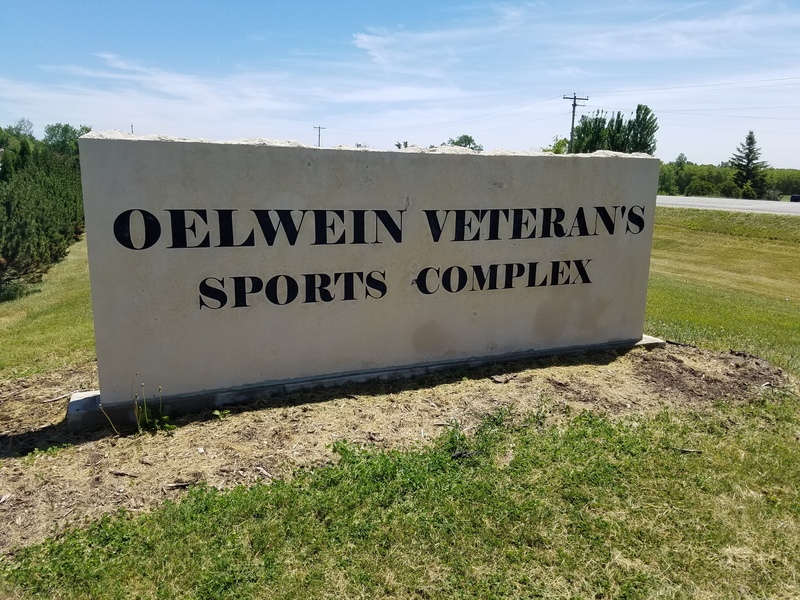 “The Oelwein Wrestling Club instills in our members hard work and giving back to others. 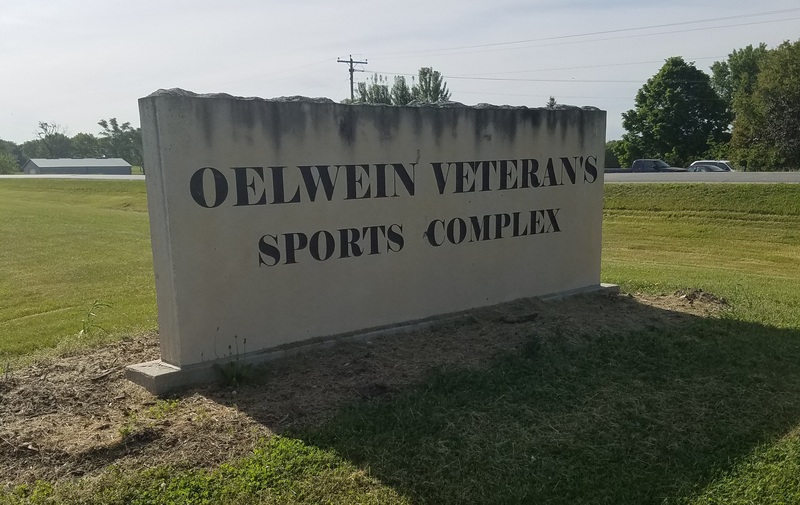 We felt that helping revitalize this great fixture was important as it is a centerpiece of our sports complex and also symbolic of our respect for our veteran’s.” stated Oelwein Wrestling Club President Greg Parmely. The photos below are the before and after photos. On June 3, 2017 at 8:43 p.m., Oelwein Officers investigated a car deer accident at the intersection of Highway 150 and 10th St. Silver in color Chevrolet Impala driven by Dawn Lammers struck a deer at that intersection. At 11:18 p.m., on June 3, 2017 Oelwein Police arrested Daniel Martin Funk, 64 of Oelwein. Funk was arrested and charged with Operating while Intoxicated 1st Offense- Serious Misdemeanor. This arrest followed a car accident in the 2100 block of South Frederick. On June 2, 2017 in the 1500 block of South Frederick, Oelwein Officers arrested Austin Dean Peters, age 19, of Maynard for a Bremer County warrant for Failure to Appear on an OWI charge. On June 2, 2017 at 8:30 p.m. Oelwein Officers performed a traffic stop at 20th Street and Outer Road. Officers arrested Sarah Elizabeth Fuller for Possession of Marijuana, a Serious Misdemeanor and Possession of Drug Paraphernalia, a Simple Misdemeanor. Thank you to the public for your help in locating Linda Clayton Of Oelwein. Your help is greatly appreciated. On May 30, 2017 at 3:50 p.m., Oelwein Officers arrested Thomas Allen Rigdon, age 22 of Oelwein, on a Fayette County Sheriff's Office warrant for Failure to Appear on an original charge of Public Intoxication. Rigdon was arrested in the 200 block of 2nd Avenue NW in Oelwein. On May 29, 2017 at 6:05 p.m., Oelwein Officers were called to a burglary in the 1000 block of South Frederick. Officers arrested Richard Eugene Watterson Jr., age 18, of Oelwein on charges of Theft 2nd Degree, a Class "D" Felony and Possession of Paraphernalia, a Simple Misdemeanor. Oelwein Police are investigating a burglary complaint. Oelwein Police received a report of a burglary at 7:50 a.m., on March 26, 2017 from the 1000 block of S Frederick Av. This incident remains under investigation. On May 26, 2017 at 6:41 p.m., Oelwein Officers investigated a pedestrian vehicle accident at the intersection of Highway 150 and 2nd st se. A Red in color ford 150 driven by an unknown individual collided with a pedestrian in the intersection. The victim was transported to Mercy Hospital. The Oelwein Police were assisted by Oelwein Fire and Mercy Oelwein Ambulance. This incident remains under investigation. Oelwein Officers performed a traffic stop in the 10 bock 1st av se, on May 27, 2017 at 1:04 a.m., Officers cited Joshua Evan Moore, age 38 of Des Moines, for Driving While License Suspended. On May 19, 2017 at 12:45 a.m., Oelwein Officers investigated a vehicle at the intersection of West Charles and 7th Avenue SW. Officers arrested Brady Leland Woodward, age 18 of Oelwein, for OWI 1st Offense, a Serious Misdemeanor. Oelwein Officers performed a traffic stop in the 300 block South Frederick, on May 16, 2017 at 1:23 a.m., Officers cited Brendan Byron Larson, age 20 of Oelwein, for Driving While License Suspended.